Preview:As seen on Today's Catholic Teacher website. 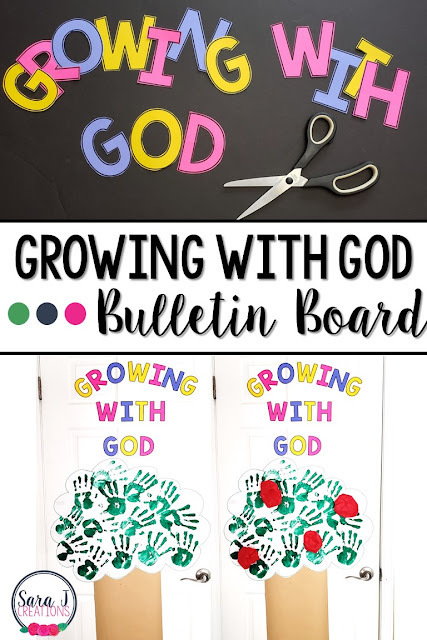 A simple year round bulletin board idea all about Growing with God. My latest Catholic craft idea is live on the Today's Catholic Teacher website. This time I came up with a bulletin board idea that could be used in Catholic schools, faith formation classes or Catholic churches in general. Not only is it an EASY bulletin board, but this is one that can stay up all year long with a few quick adjustments each season. That is what I call a win, because sometimes teachers just don't have the time to change bulletin boards over and over. One that you can use year round saves so much time!